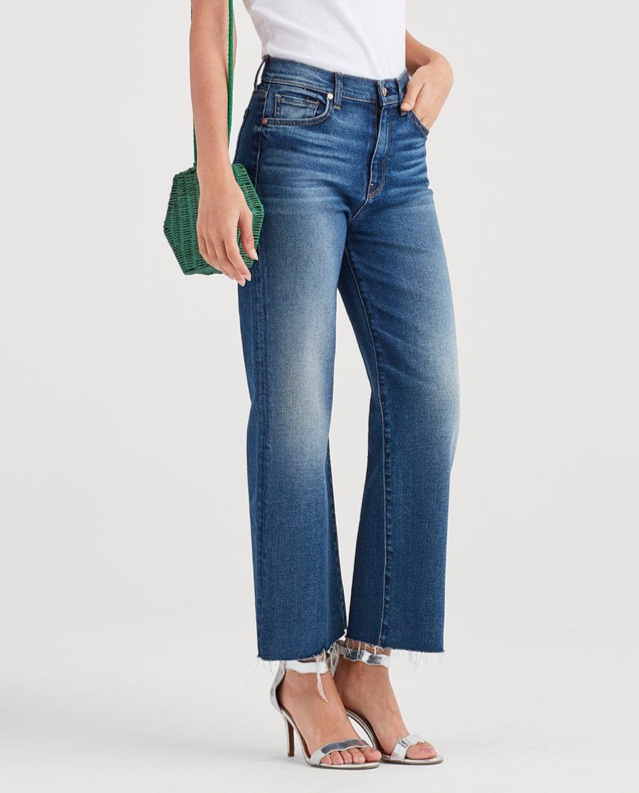 7 For All Mankind is a premium denim brand born in Los Angeles, California. Founded in 2000, they quickly earned a following for their use of innovative fabrics, fit, and finishes. 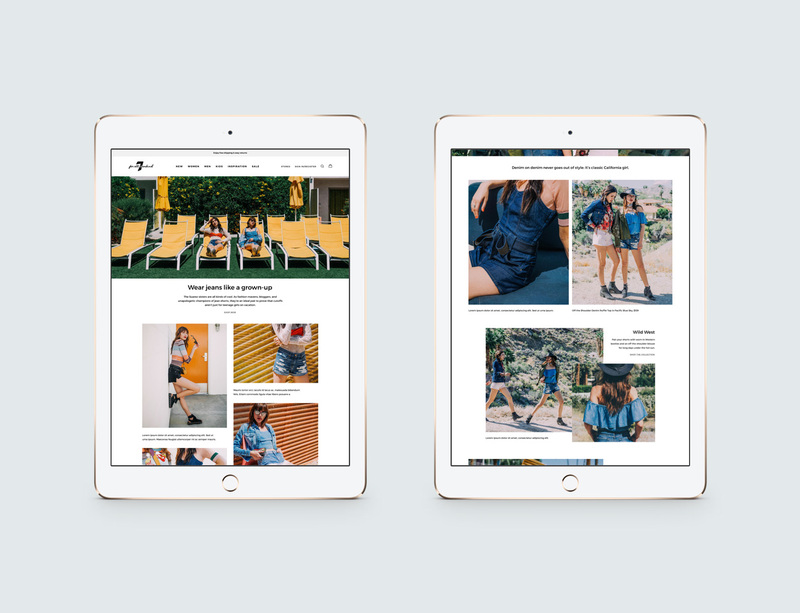 As they continue to push industry standards as a hybrid brand of fashion and innovation, their website needed to evolve and tell their brand and product stories seamlessly within a shopping experience. 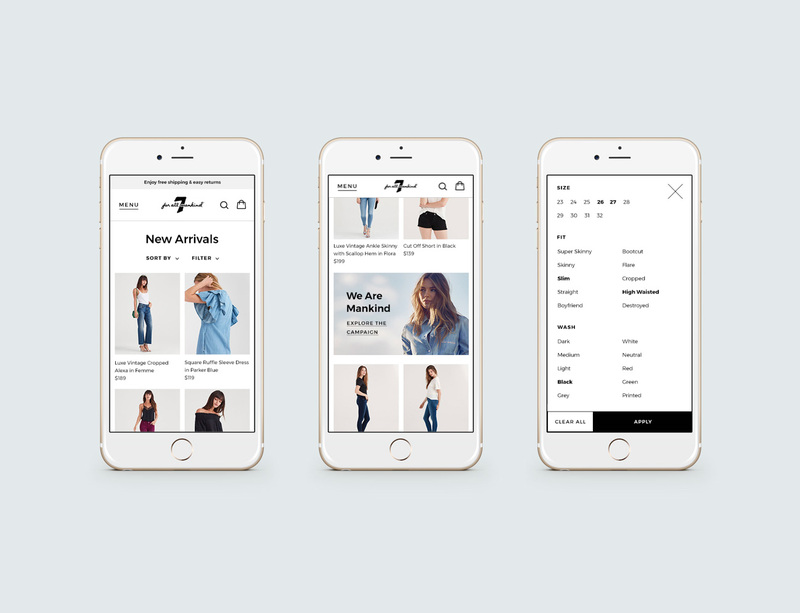 The goals of the redesign were focused on elevating merchandising and rich story telling while also enhancing and improving functionality and user experience. They needed the flexibility and opportunity to inform and educate the customer on what sets their products apart. We worked closely with the internal team at 7 For All Mankind to develop an aesthetic and approach that was modern, simple, and maintained a focus on their product and photography. The solutions we worked through and established were constantly informed by and conscious of research, insights, and data based on our expertise in user experience and design. 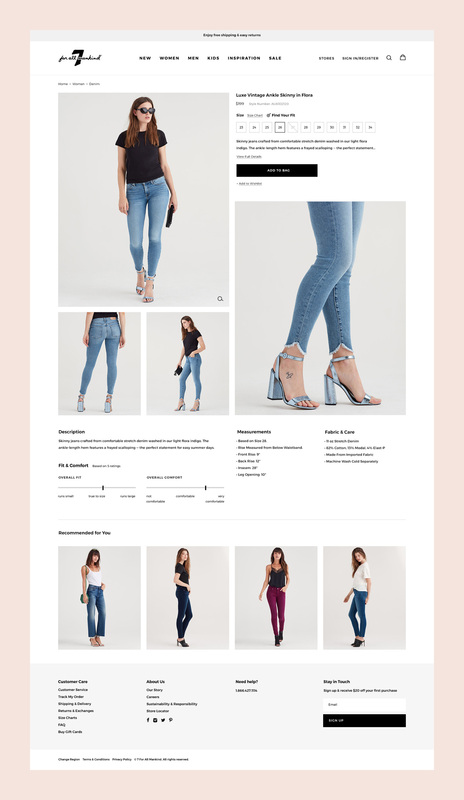 The Homepage design brought the brand to life with rich content and video to engage the customer, while also pushing collections, categories, and products. 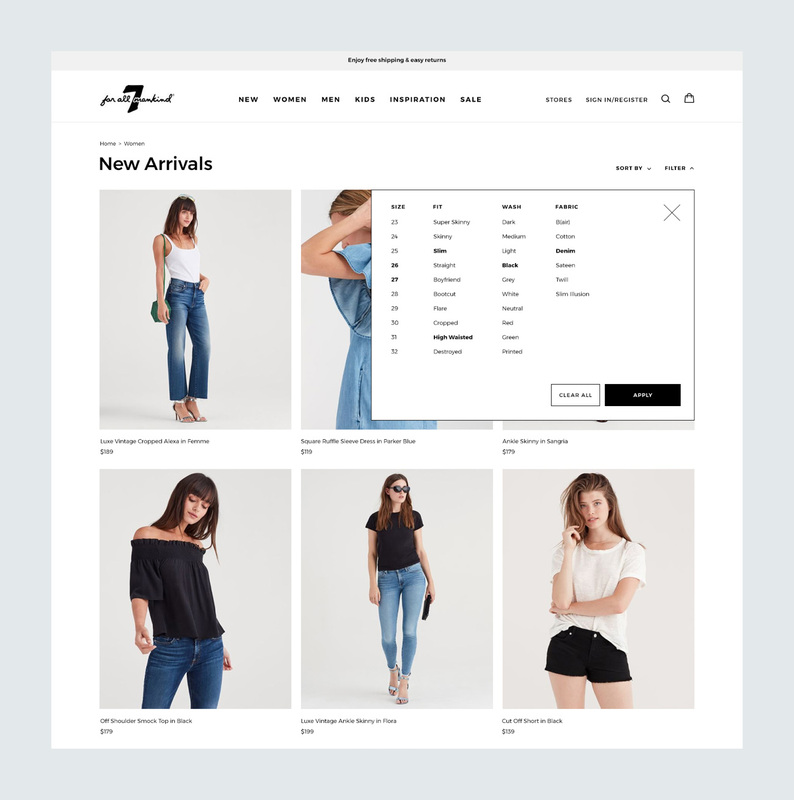 As a denim brand, it was important to have an intuitive and easy process for selecting specific fits and styles for both returning and new visitors. 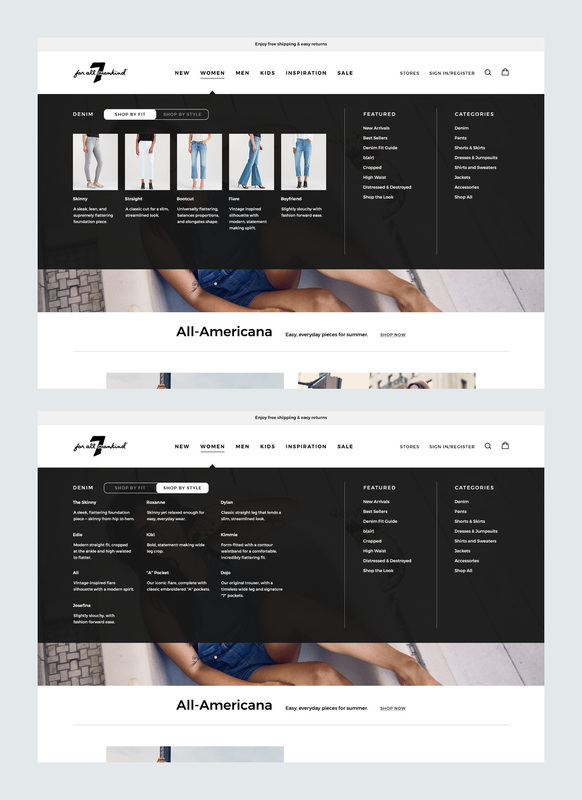 The mega menu solution included a unique tabbed approach to toggle between a visual or text based representation of their product types.